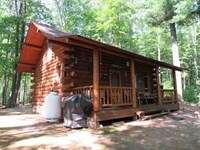 Upper Michigan Waterfront Home and Cabin on 1000+/- Acres of Land for sale. 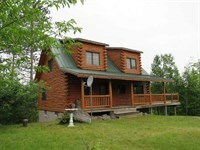 This property is located in Ontonagon and Carp Lake Townships of Ontonagon County, in the Upper Peninsula of Michigan. 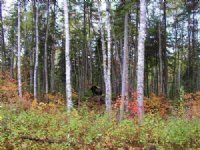 The parcel is in the Green District, a small district that extends southward from Lake Superior, about seven miles west of Ontonagon. M-64 borders the lakeshore, crossing the district east to west. Recreational homes line the north lakeshore side of M-64, and a mix of seasonal recreational and year-round homes are on the south side. Tourists pass through this area, and stop and picnic at the screened pavilion at the Green Park (1946) located on the lakeshore near the intersection of M-64 and Townline Road. 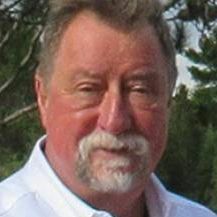 Green grew out of the lumber boom that occurred along the Lake Superior shore during the 1890S. The community of Green was a hub for logging operations in the adjacent woodlands. In an effort to entice settlers into the area, the McMillan Company began selling sections of cutover acreage near their camp to Finnish immigrants as early as 1903. The Greenwood Lumber Company made the settlement a model company town. New housing for employees, a general store, and a Finnish Lutheran church were constructed around the company Camp No. 2. With more families relocating to the area, two schools were built to accommodate the growing community. 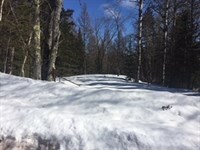 The main route is M-64 which runs along Lake Superior, and from there roads extend south to inland farms. By the 1920S, the Finnish and eastern European settlers in the area had firmly established their farms. 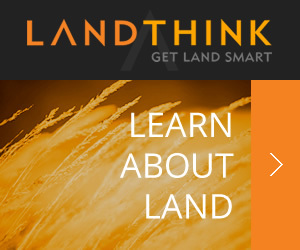 Farming declined after World War II as children moved away to larger communities. Today there are still agricultural and recreational lands available, and the gently rolling landscape is filled with wooded and open areas. 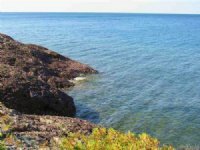 Lake Superior to the north, and thousands of nearby acres of Corporate CFA and State of Michigan Lands offer opportunities for hunting, trapping, and fishing. The west end of Multi-Use State Trail No. 12 runs along LP Walsh Road. 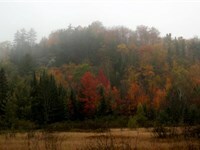 Porcupine Mountain Wilderness State Park is a short drive to the west. This park encompasses 60,000 acres of secluded lakes and miles of wild rivers and streams in virgin forests. Camping, hiking, alpine and cross-country skiing is available here. Thousands of acres of Ottawa National Forest lands are a few miles to the east. Here there are 3,500 miles of backwoods roads to explore. If you like Big Lake boating and fishing, there is a deep draft recreational port at the Harbor Piers in the nearby Village of Ontonagon. 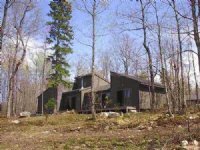 This wooded property is forested with American basswood, Balsam fir, Eastern hemlock, Eastern hophornbeam, Green ash, Northern white cedar, Quaking aspen, Red maple, Sugar maple, White ash, and Yellow birch. 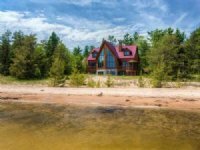 The property offered for sale is crossed by four creeks that flow northward to empty into Lake Superior - The Argentine Creek, Calf Creek, Tolfrey Creek and the West Branch of Duck Creek. The Main 3-Bedroom Home on the parcel is located by an enlarged pond that is part of the Argentine Creek. 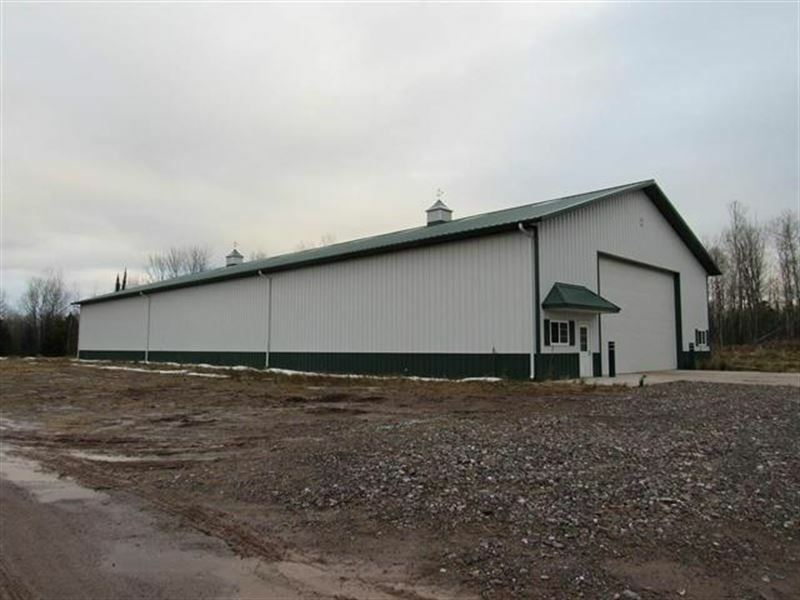 Included is a 9,600 Square Foot Pole Barn. A Guest Cabin is located further north, which also has frontage on the Argentine. 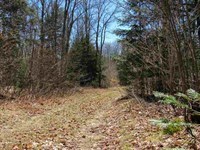 For a Private Tour of this large wooded recreational property contact us today. From the L'Anse Welcome Sign take US41 west 4 miles to M-38 in Baraga. Take a left and go 27.6 miles to M-38/M-26 Intersection. 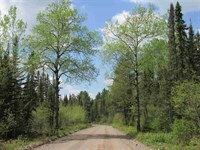 Take a left and go 14 miles to the Ontonagon Village entrance. 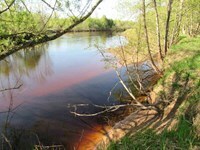 Continue down M-38/M-64 and cross the Ontonagon River Bridge. Once over the bridge go 5.3 miles to LP Walsh Road. Take a left and go 7.16 miles to Fire Number 29185 LP Walsh Road (Gated Potato Farm Road Guest Cabin) and another.28+/- miles to Fire Number 28905 LP Walsh Road (Gated Main Home). 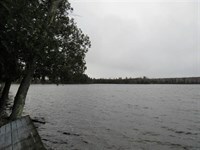 When calling broker, please say, "I found your listing 28905 Lp Walsh Rd., 1106041 on FARMFLIP."